Pictures speak louder than words. 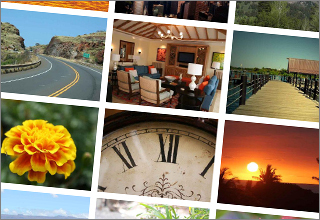 Create an interactive image gallery complete with lightbox support. Quickly drop your photos into the gallery and everything is ready to go. 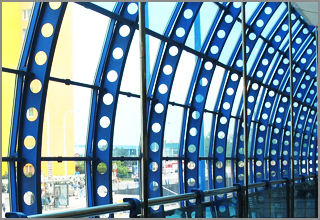 From standard gallery displays to sliding images, we have many options that highlight what is most important to your business. 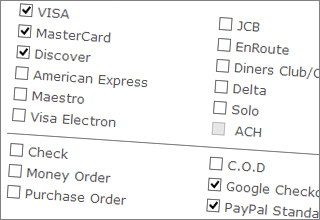 Collect and process information directly from visitors with our advanced form processor. 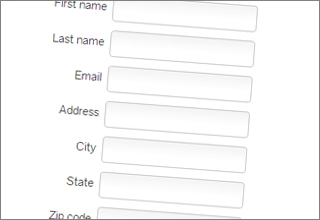 Easily create custom forms to prompt visitors for information. 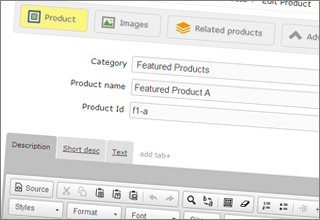 Forms integrate directly with your customer database and mailing lists. Your account will be hosted on our high performance systems. 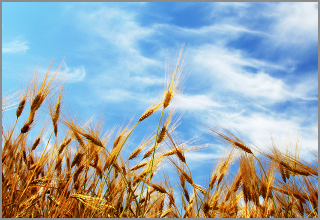 Every account includes access to advanced email and our webmail system. Keep it simple or highly graphical. We have many design options to meet your needs. Designs can easily be customized with your own images and colors. 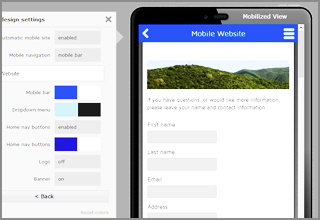 All designs are mobile optimized so your site looks great no matter where you view it. 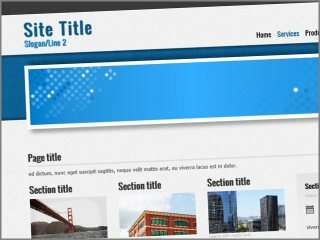 Choose from 100's of professional templates. All designs can easily be customized with our comprehensive design tools.. You are never locked into a design. 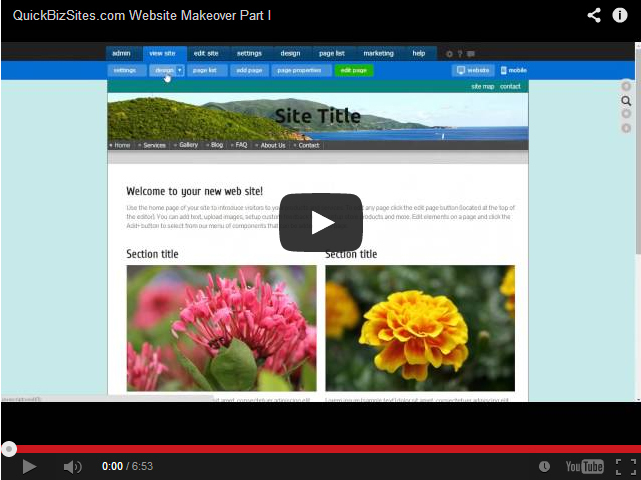 As your needs change, you can easily update and enhance the look of your website. 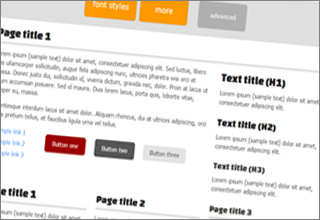 Our design tools make it very simple to make adjustments to your design. 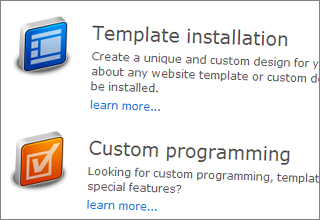 Choose a pre build design or customize any of our templates. 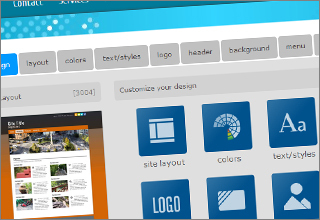 Create a site that is unique to you with your own images, backgrounds, colors and more. Internet trends move fast. Our design team is constantly working to provide you with the latest and trending design experiences. 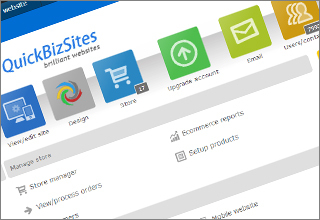 Just few clicks, and your site is completely updated with a new, fresh look. 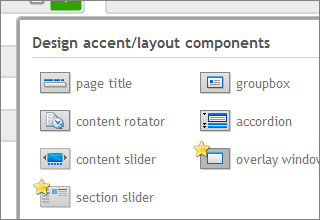 With the integrated design manager, completely change your design and layout at any time. 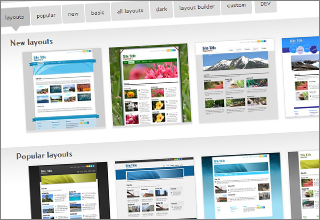 Create a new layout and apply it to your site when you are ready to make it live. Our system is designed to grow with you. Whatever your needs, our design team can work with you to create the perfect solution. Work with our designers or supply your own template to get exactly the design you want. Our programmers can easily extend the system to create custom modules and integrate with 3rd party systems & APIs. No more shipping headaches. Shipping is one of the top factors that influence a customer's purchasing decision. 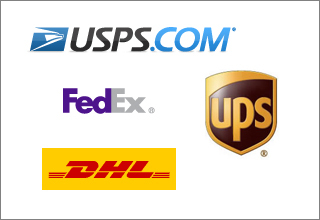 Setup flat rate shipping tables or compute real-time rates directly from UPS, USPS, FedEx and more. 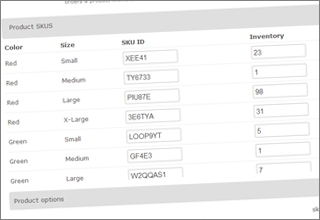 Our rules based shipping engine allows to you to configure when and how shipping options are displayed to customers. 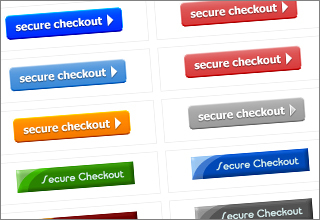 An ecommerce store front is much more than a simple shopping cart. 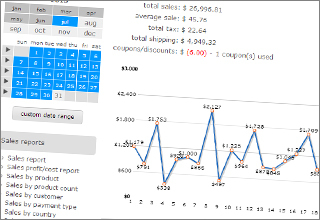 To realize the full potential of your store, you must continually track your store's performance and make adjustments. 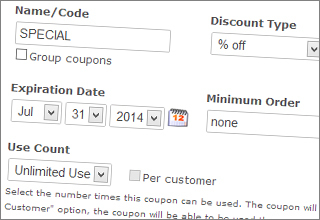 Create dynamic promotions by offering incentive coupons to your customers. Encourage return business with preferred customer rewards points. Ensure that your products are available when your customers are ready to buy. 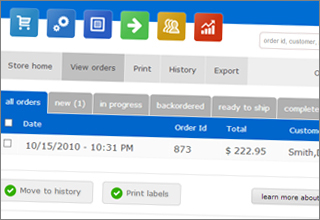 Easily keep track of your product inventory by size, color or any option that you require. Low inventory alerts and reports ensure that you are always aware when it is time to re-stock. 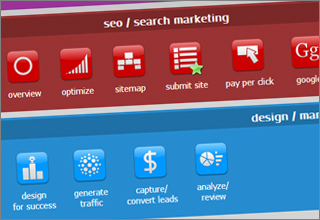 Easily tune your site to achieve maximum exposure in search engines. 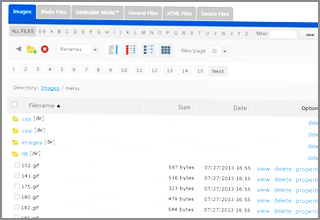 Search tuning parameters such as titles and meta tags are easily available. Follow our step by step marketing guide to ensure that your website is ready for search engines. Use landing pages to track where your visitors are coming from. We have built in controls to help your customers connect with you on Facebook, Twitter, Google and more. 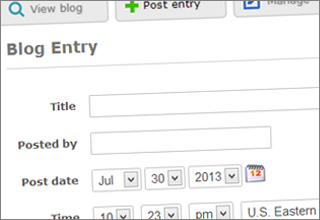 Easily place social sharing links on your pages. 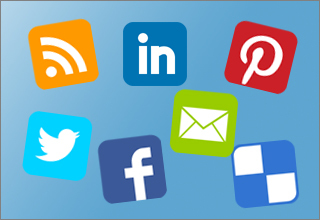 Grow your likes and subscriber base with social networking icons located in your site's header and footer areas. These links go directly to your accounts and encourage visitors to follow you. 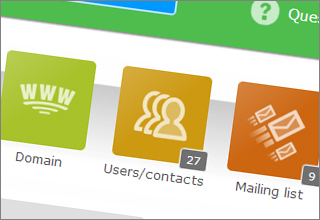 Grow your mailing list, engage and send updates directly to your customers. 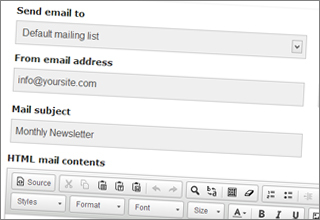 The mailing list registration component and custom form processor are tied directly to your mailing list, making it simple for new users to subscribe to your list. 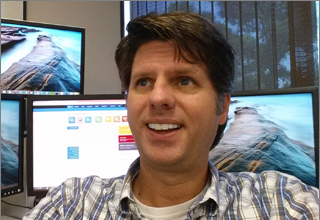 Use the auto response system to configure an automated follow up (drip) email campaign. New subscribers will automatically receive a series of informative emails about your products and services. The integrated website statistics package gives a baseline for measuring the performance of your site. Watch your traffic and referrals grow as your marketing reach expands. 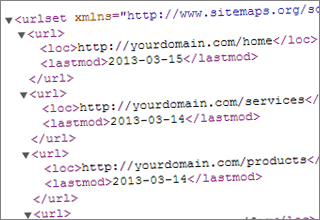 To ensure that Google and other search engines can find all of your pages, your web site automatically generates a comprehensive XML site map. Search engines use your site map to find your pages and track changes to your site. We automate everything for you. 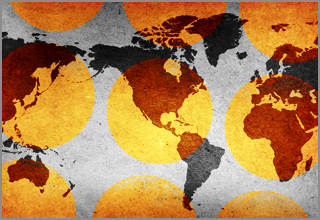 Your support requests are immediately routed to our technical support staff. Within minutes of receiving your request, someone is looking at your question and preparing a helpful response. Our friendly email responses give you simple step by step instructions. If you ever have additional questions or are not sure how something works, we want to hear from you. 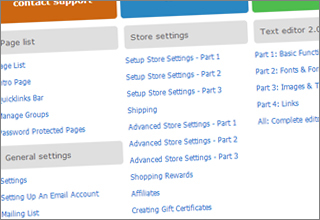 Use our comprehensive video tutorial library for step by step instructions on setting up your website, configuring ecommerce and accessing advanced features. 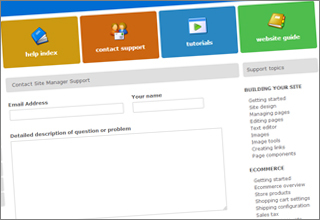 No only do we have support staff to answer your questions, but everyone working in our support department has many years experience helping customers create amazing web experiences. Instead of making you go through layers of people and not getting anywhere, our goal is to put you in direct contact with a knowledgeable support expert. We know that performance is one of the key factors to the success of any website. 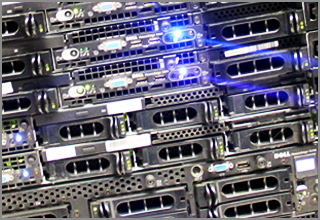 From high performance servers to network tuning, all of our systems are designed to deliver the highest level of service. We continually monitor all of our systems and make adjustment to ensure your website screams. Do business all over the world. 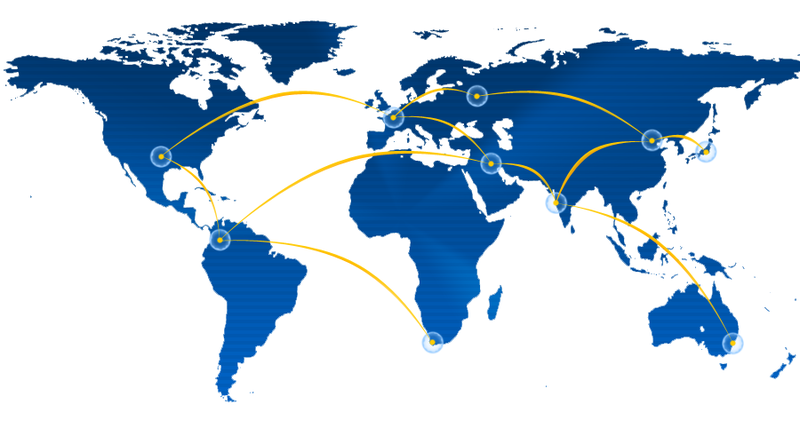 Our content delivery network is optimized to ensure that your site content is close to your customers no matter where they are. Our systems are monitored 24x7 to verify that they are accessible and responsive. We utilize redundant systems throughout our network and software infrastructure to ensure that your site has the highest possible up time. 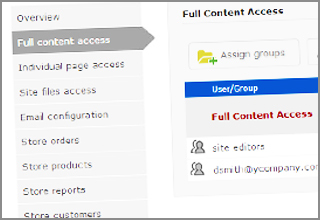 Easily control access to account management features with administration account access controls. 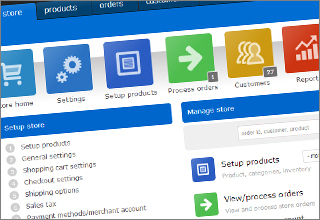 Setup admin user accounts and assign access to edit pages, manage orders and access customer records. Your data is safe. All our systems are continually backed up so data can easily be restored.